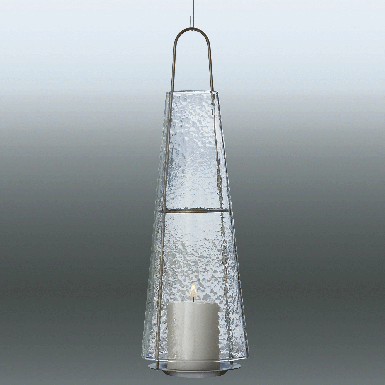 The lantern comes with candle holder and suspension spring, which can be extended to the desired length. Separately you can also order a stainless steel rod to stick into the ground and hang the lantern. The candle is always supplied and can be individually ordered from us again.